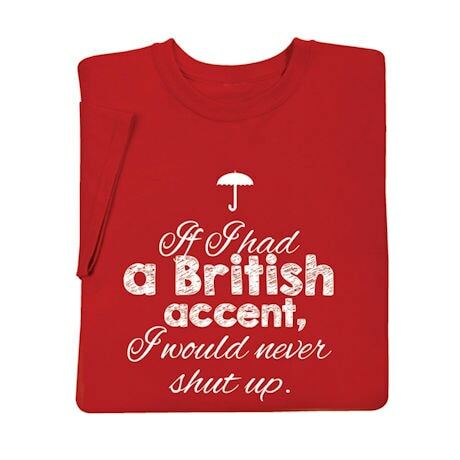 Because everything sounds better in a British accent, especially a super-plummy "Upstairs Downstairs," "Downton Abbey" tone. 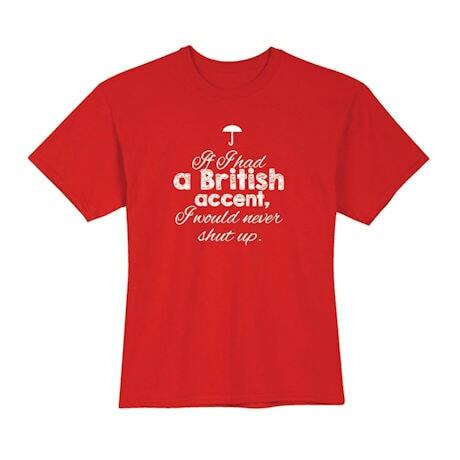 Except the British would say "belt up," not "shut up." Red T-shirt is preshrunk 100% cotton. Sizes M-XXL. Imported.